John Hansen is a true Natural Bodybuilder, from the time he was a teenager until his retirement from competitive bodybuilding he has held true to his title of Natural Mr. Olympia. He is the very first bodybuilder to be crowned the Natural Mr. Olympia and that took place in 1998 in Greece. To this day the modern day natural warrior John Hansen continues to wow the crowds with both his accomplishments and his knowledge, from the average Joe to a competitive athlete, Hansen has brought much to the table during his career and beyond. 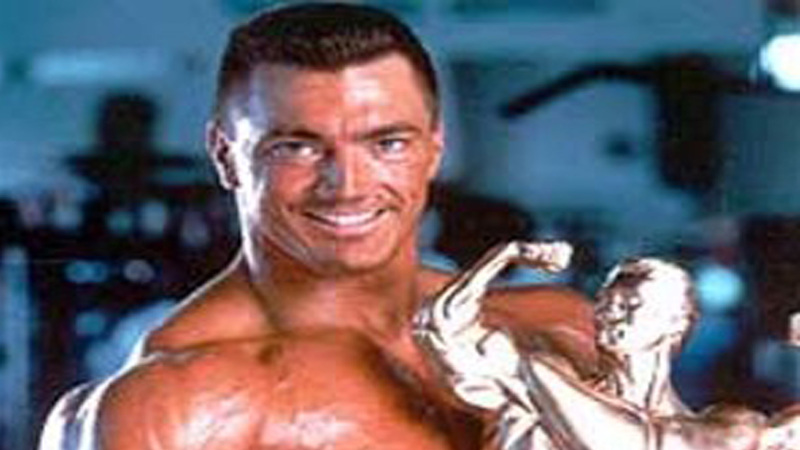 Mr. Natural Olympia John Hansen first became interested in the sport of bodybuilding as a very young man. An avid comic book reader, John was fascinated with the physiques of the colorful superheroes he read about in the comic books. They were so muscular and impressive that they captured his imagination and he couldn’t help but wonder what it would be like to have a body like that. Several years later, John began to idolize the late martial arts superstar Bruce Lee. He was intrigued with Lee after seeing a picture of him with his shirt off from the movie “Enter the Dragon”. Bruce Lee was the only person he had ever seen who looked like the superheroes he had read about in the comic books. John soon adopted Bruce Lee’s training regimen so he could develop a body similar to the kung fu superstar. He started jogging, took karate classes at the local park district, did push-ups, sit-ups and chin-ups on a daily basis and eventually started lifting weights. When he began lifting weights, John had to buy some bodybuilding magazines to learn how to perform the various exercises needed to develop his body. When he saw the incredible physiques on the bodybuilders featured in the magazines such as Arnold Schwarzenegger, Lou Ferrigno and Franco Columbu , John knew that this is what he wanted to do with his life. He began training for bodybuilding at 14 years old, right before beginning his freshman year in high school. Although he only weighed a skinny 135 pounds, it didn’t take long for John to tell everyone what he wanted to accomplish. “I’m going to be Mr. Universe someday”, he would say. Of course, no one took him seriously. John began competing in bodybuilding contests two years later at 16 years old. Over the next 3 years, he competed in 10 teenage bodybuilding competitions, eventually winning the Teenage Midwest Open at 18 years old and taking 5th place at the Teenage Mr. America contest when he was 19. After his teenage years were over, John realized he would have to get much bigger before competing with the big boys. He used the next 2 years to “bulk up”, going from 180 pounds at 19 years old to 205 pounds at 20 years old and 230 pounds by the time he was 21 years old. John competed in the Illinois State Bodybuilding Championships at 22 years old, taking third place in the heavyweight class. His goal was to win state and regional level competitions before going on to the national level and eventually to the Mr. Universe contest. The following year, John won the heavyweight and overall title of the 1986 Illinois State Bodybuilding Championships. Two weeks later, he also won the Mid-America Championships in Milwaukee, Wisconsin. Now he had accomplished his goal of winning bodybuilding championships at the state and regional level. Over the next few years, John continued to place high at the regional level but failed to win at the national level. It was during this time that John learned about the extent of steroid use in bodybuilding. Most of the competitors at the national level were using high amounts of steroids, cycling them year round. Even the female athletes were using steroids and other drugs to get an edge on the competition. It was at this point that John had to make a decision about his future in the sport. If he wanted to win at the national level and beyond, it was inevitable that he would also have to resort to using steroids in the same manner his competitors were. Fortunately, John made the wise decision to turn away from competition at that level and compete only in natural or drug-tested bodybuilding contests. Competing in these contests would insure that the winner would rely only on training, nutrition and supplementation to win and would not be allowed to use steroids, growth hormone, diuretics or any of the other drugs that were being used in competition. In 1991, John took second place at the Natural Illinois Bodybuilding Championships. 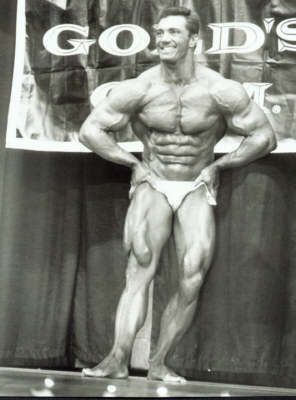 The following year, John was victorious at the 1992 Natural Illinois and then went to San Francisco to win the overall at the Natural Mr. North America. The North America was a qualifier for the Natural Mr. Universe to be held 2 weeks later in Venice, California. On December 12, 1992, John had his dream come true as he finally won the coveted Mr. Universe title he had set his sights on when he was only 14 years old. He was the winner of the Natural Mr. Universe contest. Over the next several years, John continued to compete to see how far he could advance his physique. He eventually won the Professional Natural Mr. Universe in 1996 weighing 10 pounds heavier than when he first won the title in 1992. Now he was a 2 time Mr. Universe winner. In 1998, John won the first Natural Olympia title in the Professional division. This prestigious contest was held in Greece to determine who is the best natural bodybuilder in the world. Now, with over 20 years of contest experience behind him, John has reached the pinnacle of his sport. Now a full-time devoted fitness advocate, John plans to share his knowledge through personal training, speaking engagements, and booklets written about fitness and nutrition. He hopes to reach a wider audience since he is now able to spend all his time devoted to passionately spreading the word of fitness and bodybuilding. He hopes that his books, videos, audio tapes and seminars will impact a whole new generation of fitness enthusiasts.